A long, swingy silhouette brings graceful movement to a smooth split-neck tunic styled with roll-tab sleeves and a high/low hem. 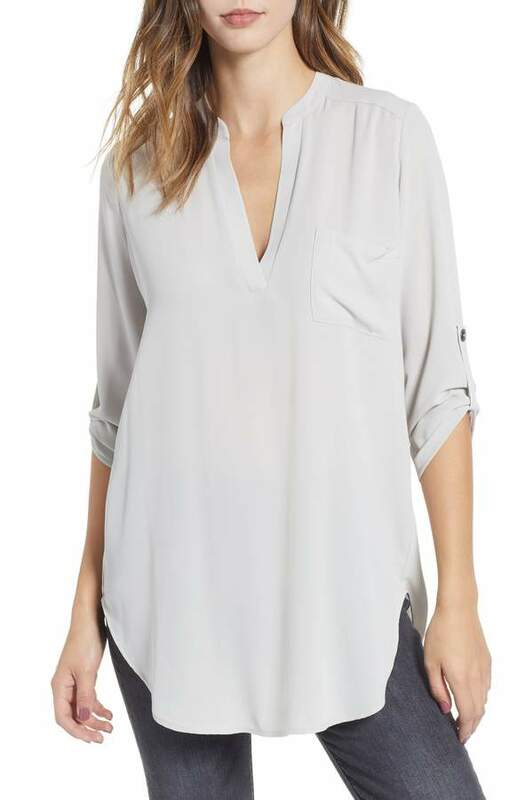 Style Name:Perfect Roll Tab Sleeve Tunic. Style Number: 1093900. Available in stores.